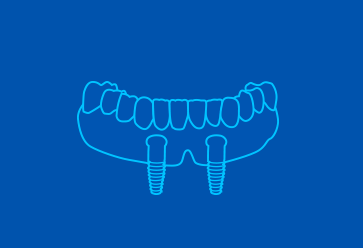 The implant is designed to integrate naturally with the bone structure through the process of osteointegration, thus recovering the function of the tooth that had been lost, as well as obtaining a healthy and aesthetically pleasing dentition. Dental implants are made of titanium and other materials that naturally integrate with the bone structure of the human body. The implant is a component which is surgically placed in the upper or lower jaw, where it functions as a solid base to hold the crown or prosthesis and thus act as if it were a normal tooth in our mouth. The main function of the implant is to replace the lost tooth and to look good, as if it were a natural tooth. The implant is situated in the place where one or more of our teeth have been lost. Its purpose is to recover the patient's chewing function, avoiding pain as well as giving an aesthetically pleasing appearance to the replaced teeth, so that they look natural.